One of the most current issues for artists working in the field of contemporary jewelery, is the analysis of the effectiveness of their own work, to question themselves, trying to find their own way and to make their work unique. 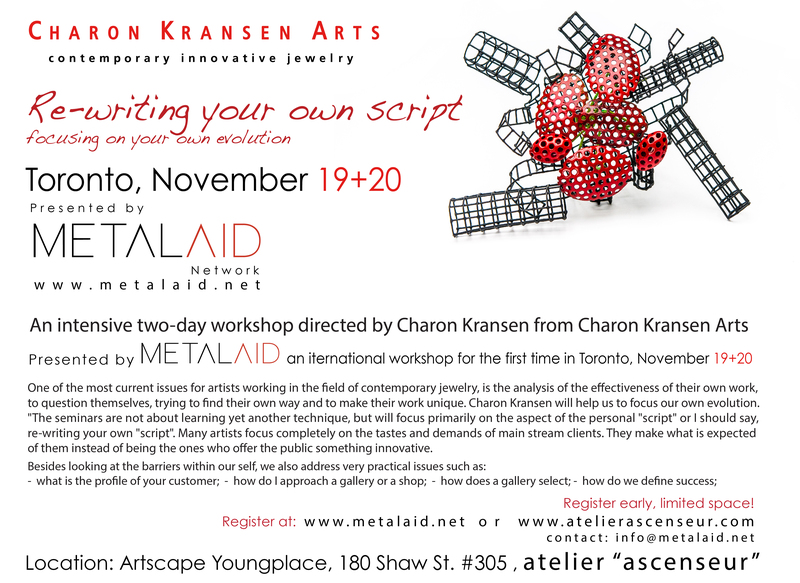 Charon Kransen will help us to focus our own evolution. -What is the profile of your customer; – how do I approach a gallery or a shop; – how does a gallery select; -how do we define success?